"We’re honored to partner with talented educators who are using our differentiated instruction platform to prepare students for success in life and work," said Stuart Udell, CEO at Achieve3000. Large, urban school districts in the U.S. often encounter challenges, such as high mobility rates and socioeconomic conditions, in preparing students for life after graduation. 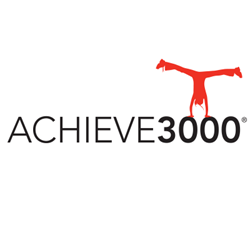 Despite obstacles, students and teachers at Chicago Public Schools (CPS), the third largest school district in the U.S., are determined to become college and career ready with the help of Achieve3000, the leader in differentiated instruction. Together, CPS and Achieve3000 are removing barriers in order to ensure all students graduate with skills for success.